A high quality sports umbrella with an eye-catching chequered pattern. 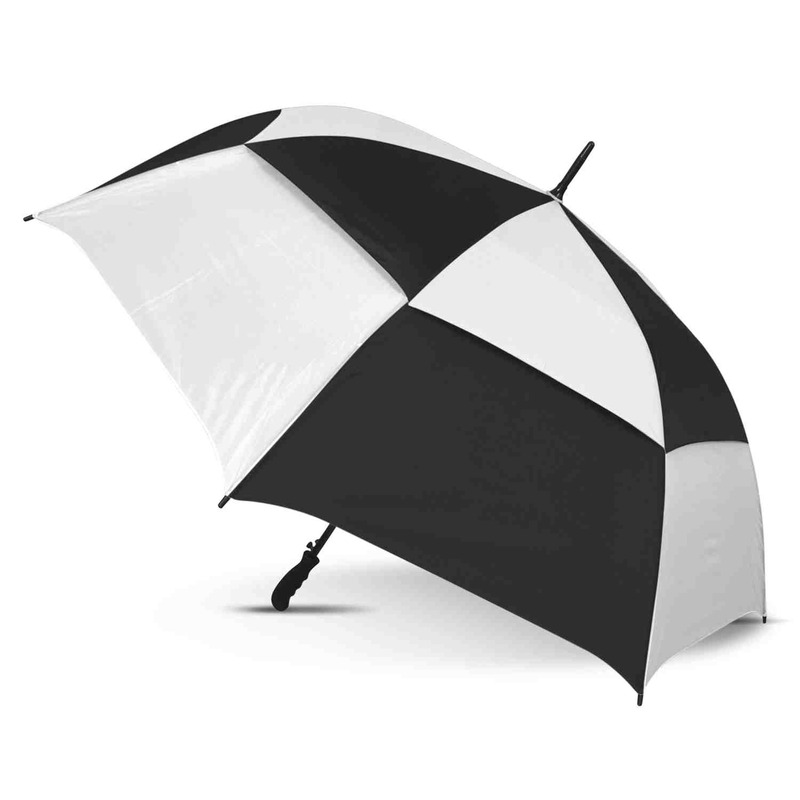 Stay dry and protected from the sun with some of these checker patterned umbrellas. They auto open out to 76cm and have an 8 panel canopy which is made from high quality 190T shower proof fabric. 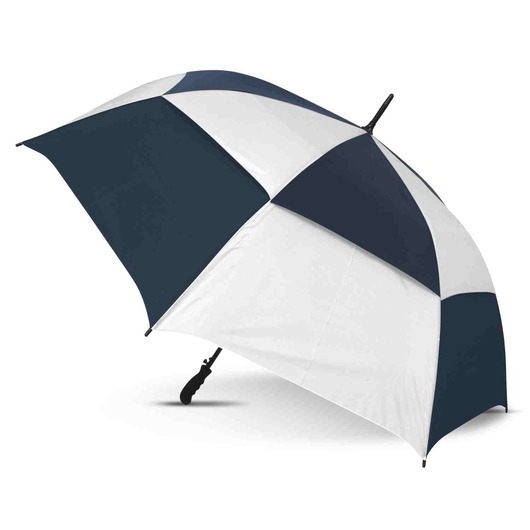 Fully vented with a double panel wind proof canopy these umbrellas come complete with 8 fibreglass ribs and a super strong fibreglass shaft. 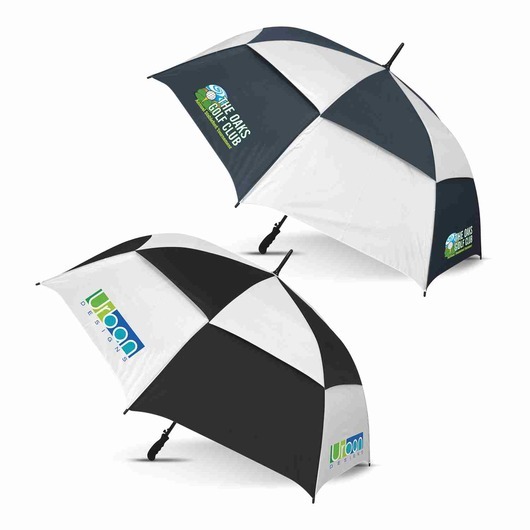 Other features of these umbrellas include: a soft touch rubber lacquered grip, plastic tips, double Velcro ties and the option of full colour sublimation branding on the white panels.